We recently announced the winner of our latest food truck contest and once again, we’ve been accused of running a predetermined or fixed competition. This is certainly not the first time, nor will it be the last. Maybe it’s due to how we run the contests and provide our readers and contestants the ability to see the vote count live, maybe it isn’t. 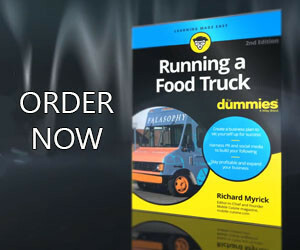 Because of this, I’ll dig in and explain how we run our food truck contests. Nearly every contest we’ve run over the last eight years, we’ve received complaints from both food truck owners in the contest as well as their fans. We do not diminish your concerns. We get it. You just spent two weeks promoting your truck to garner votes from your fans. You are disappointed, and so are we. We wish there weren’t companies that approach our contestants to offer contest votes for a fee. We wish there weren’t food truck owners that would pay these companies to get more votes in our contests. And finally, we also wish there weren’t food truck fans that skirt the system and cast hundreds of votes for their favorite trucks. We understand that our food truck contests are not infallible, scientific nor are they based on a panel of judges who taste a dish from each truck. The idea behind our contests is to provide food truck owners a chance to promote their truck locally and, in many cases, provide a reason for local media outlets to promote a local food truck business. It also gives a food truck bragging rights for a year, for what that’s worth. At Mobile Cuisine, we run our contests as transparently as possible. We announce each phase of our contests publicly, we also notify the contestants who make it into our final polls via social media. The polls are left open to the public, so everyone can see which trucks are receiving votes. While the polls re open, we respond to every single email and private message from concerned vendors. During the time the polls are live, we monitor our site traffic as much as we can. If we spot or are notified of voting anomalies we track down the issue and contact the parties involved. The very moment we shut down a contest poll, we download a spreadsheet of every single vote. Over the following weekend we audit the poll. We sort and resort the list looking for issues and disqualify every single questionable vote. Once the audit is complete, we count the remaining votes to determine our winner. The only point where someone may reasonably claim we are not transparent, would be in the fact that we do not release the final vote tally. To curb this, if a truck owner would like to know their own numbers, we will share those, however we will not share the results of their competitors. Maybe the easy solution is to not show the vote count while the polls are active. This is where it seems people get the most upset. When the polls close they see that their truck is in first place, but when we announce our winner, they aren’t it. We used to hide the ongoing results but were asked by multiple contestants to change that…so we did. We are not in the business of false accusations and smears. The primary reason is because we do not know who cast the disqualified votes. We will never accuse a vendor of paying for votes or skirting our voting system. The only thing we know for a fact is that someone cast the votes, and they have been disqualified. Please do not think that we sit back and let people get away with their cheating. They don’t. Not only have food truck fans and owners accused us picking winners, but to be honest, it’s been worse. For example, we have received numerous phone calls from vendors in the contests, their fans and even food truck owners from other cities who are accusing us or vendors for cheating. We have even had our Facebook page attacked by unhappy food truck fans who either leave nasty comments or give the site a low rating based solely on the fact they do not like the results of one of our contests. Mobile Cuisine has falsely been accused of either fixing or turning a blind eye to cheating to be able to award one of our food truck contest titles to our favorite contestant. This accusation is patently false. We stand behind the results of our contests since we do a thorough audit of every single vote in every one of our food truck contests. With all of that said, we have gotten plenty of messages from vendors who have thanked us. Because of that, we will continue to run our food truck contests. I apologize for this long rant, but after being accused of aiding and abetting the fixing of a contest, my feathers got ruffled. Luckily for me, I have a platform I can use to vent.